Mr. Prakash Ganesan takes up post just prior to resort's July 14 grand opening. 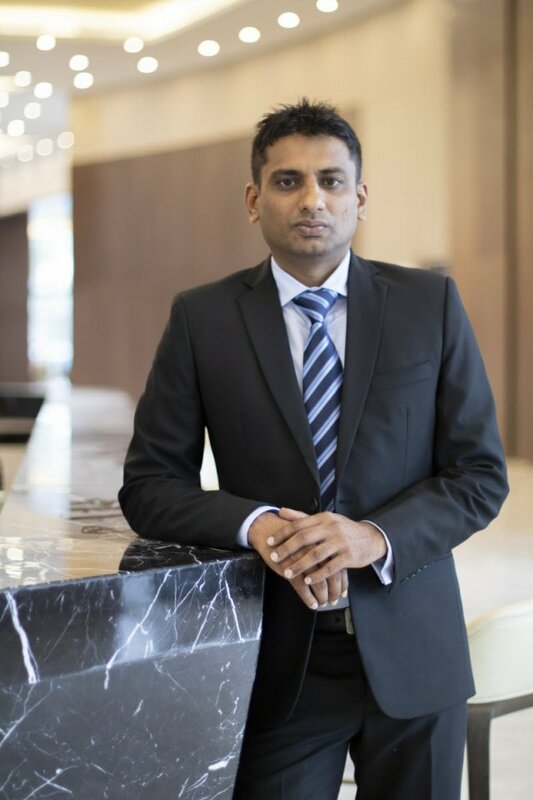 Mr. Prakash Ganesan has joined the new Radisson Blu Resort Phu Quoc as the soon-to-open property’s executive assistant manager. Mr. Ganesan, a Malaysian national, comes to Radision Blu Phu Quoc after seven years in Vietnam, where he worked most recently as the director of food and beverage at the Pullman Vung Tau Hotel and Convention Center. He previously worked as director of operations at Odyssea Hospitality Management, with responsibilities for Liberty Central Hotels & Resorts, as well as the Novotel Danang Premier Han River and Premier Village Danang Resort. Describing himself as an “impactful communicator, problem solver and excellent coach”, Ganesan’s experience ranges from hotel pre-openings to project management and strategic planning and execution. He started his hospitality career with an internship at Holiday Inn, Lake Buena Vista, in Orlando, Florida 20 years ago. At subsequent positions in Malaysia and South America he rose through the ranks as a chef and food and beverage manager for the likes of Le Meridien, Hilton and Novotel, before becoming the director of food and beverage for the InterContinental Fiji Golf Resort & Spa’s pre-opening team in January 2009. He holds a Brevet de technicien supérieur (BTS) technician certificate in hotel management as well as an executive MBA from RMIT University Vietnam that he completed this year. Located 27 km from Phu Quoc International Airport, Radisson Blu Resort Phu Quoc will be part of an integrated resort and provide guests with direct access to a vast array of facilities, including a safari park, amusement and water parks, a world-class golf course, and Akoya, a sublime spa and wellness center. Radisson Blu has set up an office on the 14th floor of mplaza Saigon in Ho Chi Minh City’s Le Duan Street in District 1 before the grand opening on July 14. Radisson Blu Phu Quoc includes 514 rooms, suites and villas, a restaurant, two bars, a VIP lounge, a large swimming pool, and a kids’ club.